Each NBA team, like an MC in the rap game, has its own unique personality, style and way of doing things. From the relentless energy brought by the Nuggets to the consistent hits pumped out by the Spurs, teams take up an identity that can be easily paralleled by a rapper. 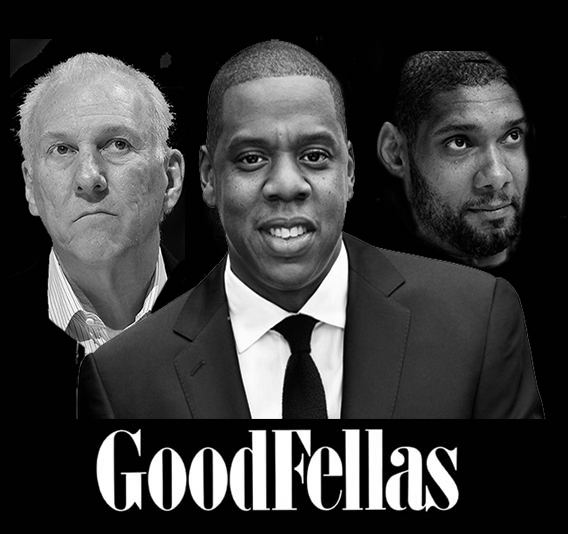 With that in mind, here is part 2 of the series, featuring the San Antonio Spurs seeing that it is Doppelganger Week and changing their profile picture to Jay-Z. You don’t have to change when you are on top of the game. Jay-Z has stuck with what works through his 11 solo albums, combining his tight rhymes with a flow so smooth he got would be contenders putting sandpaper to the the mike. His music has evolved with the times, incorporating more complex beats and adapting his lyrics to more fit his seasoned seniority, but you pick up a Jay-Z CD now for the same reason you did when Jigga put out Reasonable Doubt. You don’t have to change when you are on top of the game. The San Antonio Spurs have stuck with what works through their obscene streak of 14 straight 50-win seasons, combining the ingenious leadership of Gregg Popovich with the all-around brilliance of Tim Duncan, Manu Ginobili and Tony Parker. The Spurs strategy has evolved with the times, ditching their defense-first mentality for a pick-and-roll based spread attack, but you know the Spurs are locked in for 50 wins because of the big three and Pop. While the Spurs may not have the hottest chick in the game wearing their chain, they do have four rings to show for their extended run of dominance. The key with Hova, Timmy and Pop is to enjoy them while they are still producing hits, wits, and picks at a high level. Before you know it, this terrific trio of tantalizing talent will be chilling with their feet up on a beach, while all we are left with is the faint scent left by the fumes of their greatness.